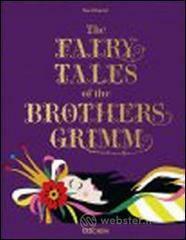 ‘The Fairytales of the Brothers Grimm’…Do I need another edition? Yes! 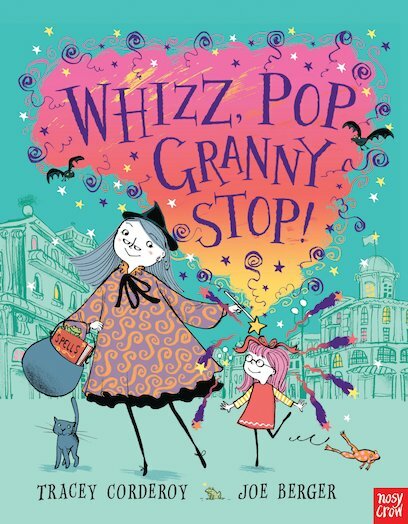 The book has been carefully researched and each story; ranging from the much-loved Cinderella and Snow White to lesser known Puss n’ Boots (no, Antonio Banderas did not create that character!) is accompanied by stunning, dramatic illustrations from the likes of Arthur Rackham, Kay Nielsen and Walter Crane. Each illustration is vivid and dramatic, standing up as individual works of arts, but put together with the haunting tales of the Brothers Grimm, we have something quite spectacular. The illustrations and vivid in colour and often are dramatically juxtaposed with shadows and 3d-like effect reminiscient of Jan Pienkowski. A timeless book I shall return to again and again and will recommend to anyone who has ever lost themselves in the true world of a Grimm fairytale. They may not be ‘Disney’ but they’re just as beautiful, hauntingly…breathtakingly so. Write Your Own Storybook – What a fantastic, creative book! This is such a fantastic tool that I can’t stop talking about it. It’s one of my best sellers in my children’s department. I literally pile up new copies on the table and the next day, they’re gone! Write Your Own Storybook is another gem from Usborne helping children use their imagination and creativity to write wonderful stories. Each page is so visually stimulating and has space for ideas, themes and character development and poses lots of questions to help turn their stories into masterpieces. The book is methodically organised with the first chapter aptly named ‘Getting Started’ and gives 16 starting themes such as ‘Whodunnit’, ‘Stage School’ and ‘Time Travel’. The tasks can also help improve writing skills but you wouldn’t know it because it’s such a fun activity book and the illustrations and design of the book make it a story in itself. If you’ve got a budding writer on your hands then this is just a fantastic book to give them which will set them on the creative path. Bound in beautiful purple and gold hardback, this edition features eighteen previously unpublished stories and poems by the master magical storyteller. Only one other author can get away with naming stories like ‘Maggoty’s Wood’ and Gobbleknoll’ and that’s Roald Dahl. I think every child should have at least one collection of folk and fairy tales. They open up the imagination, the idea that the impossible is not such and create a new world for the reader. There’s also the odd moral thrown in for good measure! Not only that, but there’s a great deal of British mythology alluded to in the stories and that really is a treat and apparently, many of the physical descriptions and locations are actual locations in the UK. Often with fairy tales we forget that a lot of them originated from different countries; China first came up with Cinderella many many centuries ago! It is quite clear that Garner wrote what he knew about and he knew how to make that appeal to everyone- a talented, rare breed of a writer. This really is a beautiful collection of stories. They range from animal stories to tales of love and loss and the underdog winning the day. I truly cannot imagine anything more satisfying than hunkering down in a massive chair (a bed will also suffice) and losing myself in these wondrous tales. Bliss. So buy this for yourself, buy this for Christmas or buy this for any child who has ever gone off into the garden in search of their own magical adventure! 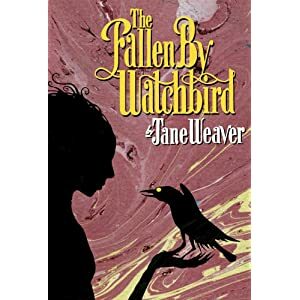 The Fallen By Watchbird is a book I received with great interest. Having written my dissertation on fairytales, I was eager to read this. This book has been produced to coincide with the release of Jane Weaver’s album. It’s an interesting and new direction in publicity and I really like it. The book follows a beautiful young girl who is cared for by her own Watchbird, after her one true love is sent out to sea at war. A watchbird is not a pet, nor do you choose to keep it. It chooses you and only those with a pure and kind heart is cared for by a watchbird. When the evil witch decides she wants a watchbird for herself, a whole flock of them descend upon the girl and the witch and prove who is more important to them; good or evil. This is a curious tale which had me gripped. The illustrations are unique. Part hand-drawn, part digital; they remind me of ones we might see in a Grimm anthology but with a 21st century angle. The tale is rather open ended and doesn’t conclude rather than alludes to adventures ahead as the young girl continues her quest to find her soldier. Thinking about how this book may complement Jane’s new album, I am very eager to hear her music. A hauntingly good fairytale with an unique premise. When I first found out about this book, I was thrilled. It’s not often to come across well-written, mature Christmas fiction for children. Other than A Christmas Carol, what is really out there that explores the true meaning of Christmas? I was also equally thrilled to discover Eddie Izzard is to star in the BBC adaptation, to be shown this Christmas so make sure you look out for it…but read the book first! Lost Christmas is all about a boy named Goose, whose parents have been tragically killed in a car accident. Living with his crazy Grandma and dog called ‘Mutt’, Goose feels pretty down on his luck. (Think Tiny Tim meets Charlie Bucket). Goose does have one friend; but he’s hired Goose to help him commit crimes across Manchester. One day, Goose meets a man who is capable of finding anything and everything. When Goose loses his dog, it seems fate has drawn them together and he must rely on this strange man; Anthony, to find his beloved dog. Anthony poses many questions: Who is he? Can he really help Goose find his dog? And more importantly…how? I loved this book from start to finish…literally. 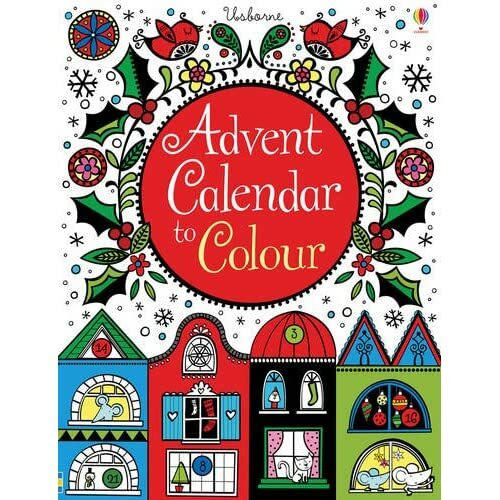 The hardback book is beautiful and in-keeping with the festive theme. It would make a wonderful gift for girls and boys. It’s difficult not to become attached to Goose. He’s completely lost his way through no fault of his own and I couldn’t help but root for Goose and Anthony as they help one another find things they have lost. It’s a charming, sad but often funny tale of life and love set amongst the dodgy side-streets of Manchester but the anticipation of Christmas never goes away. Quite like A Christmas Carol and the film, ‘It’s a Wonderful Life’ I couldn’t help but hope that the magic of Christmas would win out in this book…and I wasn’t disappointed. Lost Christmas is David Logan’s first book, and what a triumph it is. He writes with compassion and understanding for his characters; like he too understands what they’re going through. A perfect gift for 9-12 year old girls and boys. Or, in fact anyone looking for a little magic this Christmas and the chance to believe in something great. Ok, so it’s not my first Gruffalo. In fact, I have every version of the Gruffalo and even my very own Gruff that watches over me at night…seriously his eyes glow orange. and he has purple prickles all over his back. This fantastic new book teaches all the key elements of the rhyming story whilst introducing the touch-and-feel books. Other than the buggy book, this is the first Gruffalo story you should introduce to your child before moving on to the full story in a board or paperback picture book. It gives the jist of Donaldson’s story and children can remember the distinctive poisonous wart through the sticky feeling they get when they touched it in the book (I admit, I did touch the wart. I’m now expecting one to spring up on me anytime now-eek!). The Gruffalo books aren’t just any oldpicture book…they teach so much more. If we think to what Janet and Allan Ahlberg taught us with ‘The Baby Catalogue’ and ‘Each Peach, Pear, Plum’; The Gruffalo is up there in the play and learn accolade hall of fame. The story in itself is full of character and charm and a real message of bravery. The illustrations by Axel Scheffler are so incredibly visual. It’s rare that a children’s illustrator can engage with the page and story so much. There’s a lot to the Gruffalo and a lot to remember but it’s a guarantee that if you ask a child to tell you about him, they will tell you in great (and accurate) detail. And so this new book for even littler ones helps them along the way in learning all about the big bad Gruffalo and the ever so clever little mouse. And I must say, the Gruffalo is sporting a serious Elvis DO with his touch-and-feel tuft of hair on the front cover!